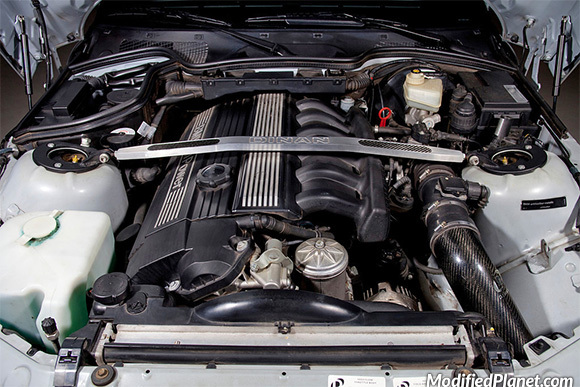 Modified 2002 BMW M Roadster engine bay featuring a Dinan front upper strut bar and carbon fiber cold air intake. 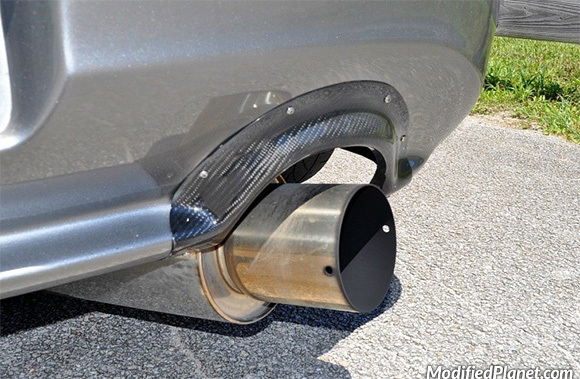 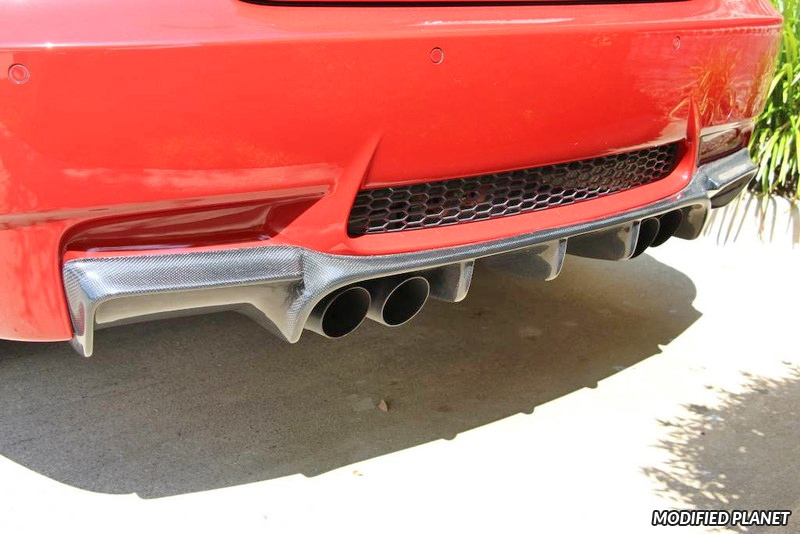 Modified 2007 Honda S2000 featuring a HKS Hi-Power exhaust system and carbon fiber exhaust heat shield. 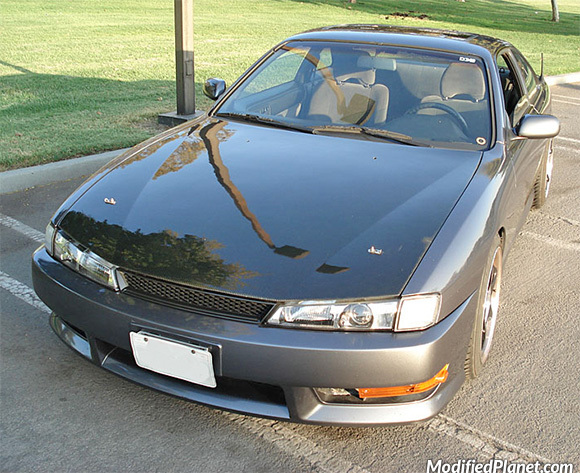 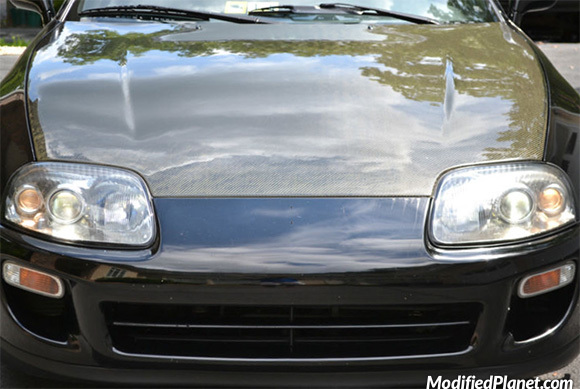 VIS Racing oem style carbon fiber hood and Moroso hood pins installed on a modified 1995 Nissan 240SX SE. 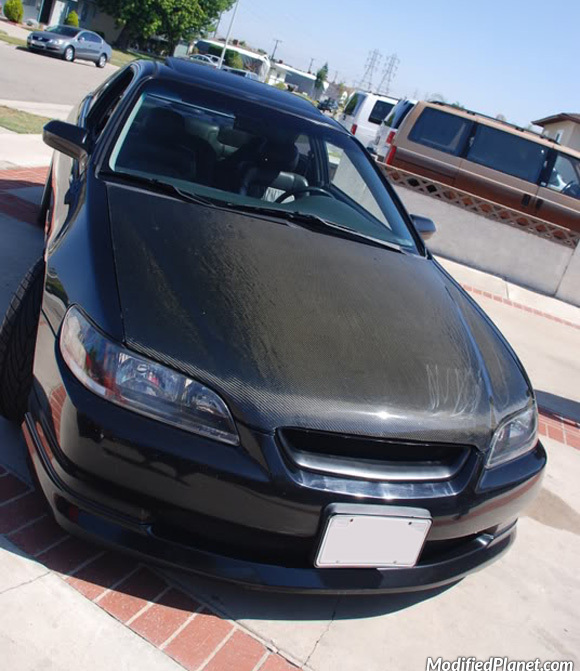 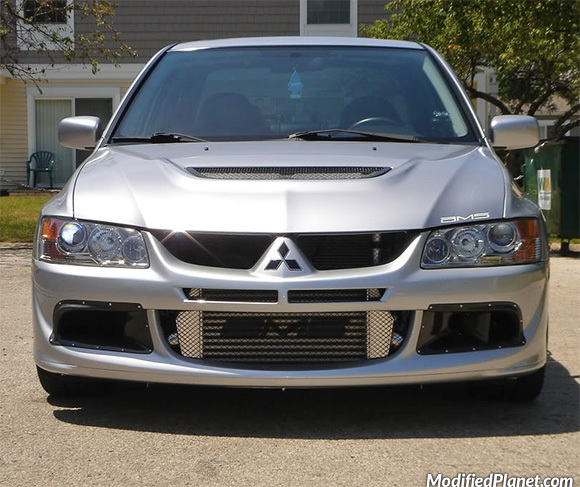 VIS Racing OEM style carbon fiber hood installed on a modified 1998 Honda Accord. 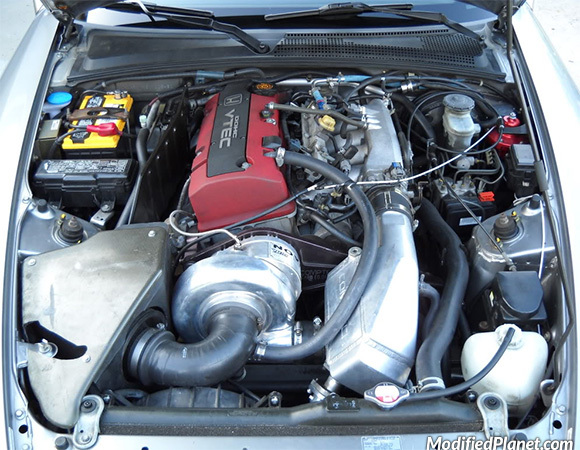 Modified 2000 Honda S2000 engine bay featuring a Comptech supercharger and Comptech carbon fiber intake box.